Variation Accepted: Operating between THE GEORGE PARK AND RIDE SITE and PLYMOUTH (Royal Parade) given service number PR1 effective from 01-Apr-2012. To amend Timetable. Variation Accepted: Operating between Plymouth Royal Parade and Mount Gould given service number 5 effective from 01-Apr-2012. To amend Timetable. Variation Accepted: Operating between Plymouth Royal Parade and Saltash given service number 1/1A effective from 01-Apr-2012. To amend Timetable. Presumable more fine tuning of these services to meet demand. Variation Accepted: Operating between LOOE and PLYMOUTH given service number 572 effective from 02-Apr-2012. To amend Timetable. Variation Accepted: Operating between Liskard, Parade and Plymouth, Exeter Street given service number 592 effective from 01-Apr-2012. To amend Timetable. Variation Accepted: Operating between Callington and Plymouth given service number 576 effective from 01-Apr-2012. To amend Timetable. Variation Accepted: Operating between Bude, Strand and Callington given service number 576 effective from 01-Apr-2012. To amend Timetable. Cancellation Accepted: Operating between Liskeard Station and Toorpoint Ferry given service number 581 effective from 01-Apr-2012. It will be interesting to see who, if anyone takes on the 581. Variation Accepted: Operating between TORPOINT FERRY and PLYMOUTH Bus Station given service number 81/81A/81C effective from 01-Apr-2012. To amend Timetable. Variation Accepted: Operating between PLYMOUTH Bretonside Bus Station and LAUNCESTON Westgate Street given service number 76/76A effective from 01-Apr-2012. To amend Timetable. Variation Accepted: Operating between Truro and St Agnes given service number 85/85A/85B effective from 01-Apr-2012. To amend Timetable. Effective Date: 01-APR-2012 Other Details: Monday to Saturday except public holidays. 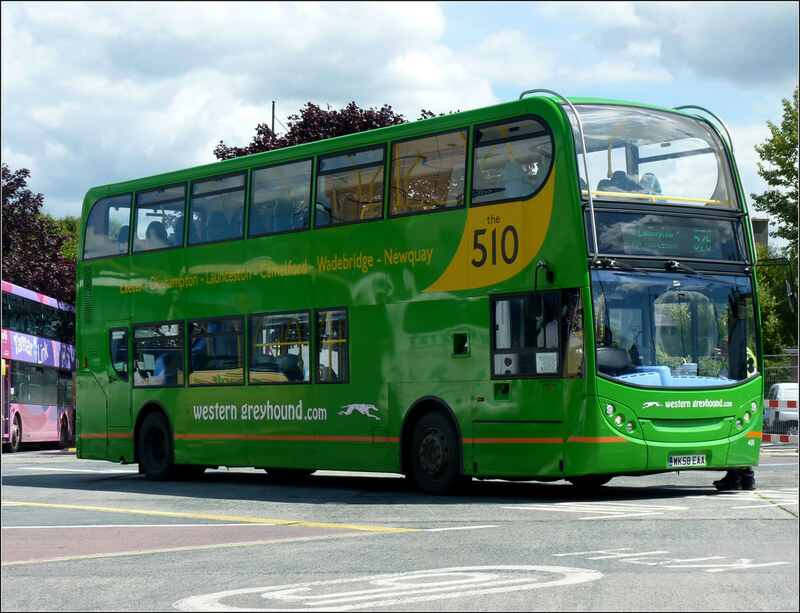 It seems that the Launceston – Bude runs are replacing the Western Greyhound runs on the 576. Will we be seeing a little less of these fine buses on the 576 come April 1st? I suspect First changes are slight reductions in frequency with the changes to government funding. UGO 5 I would think may be a reduction to 20 or 30 min frequency on Saturday afternoon in line with other UGO routes !!! Can we expect similiar from Citybus ???? Think the 1/1A will each go from every 20 to 30minutes? If I had to guess I would say, UGO 5 Mountgould, cut to 30 min frequence Saturday after 3pm and 1/1a also 30 min frequency Saturday after 3pm ... I think these 2 have not been cut back Sat PM like the rest of the UGO routes were at the end of 2011. PR1 might be every 15 mins off Peak... I don't think a bus every 12 mins is needed here between 9.00 and 4.00, if I were First I would get them to stop at Crownhill as well though!! Why would the PR1 need to stop at Crownhill? That would make it take longer to get into town and could put people off using it. P&R should really be non-stop into town in my opinion.